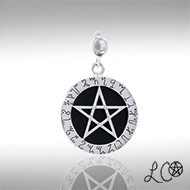 Pentagrams are magical charms and enhancers of spellwork. 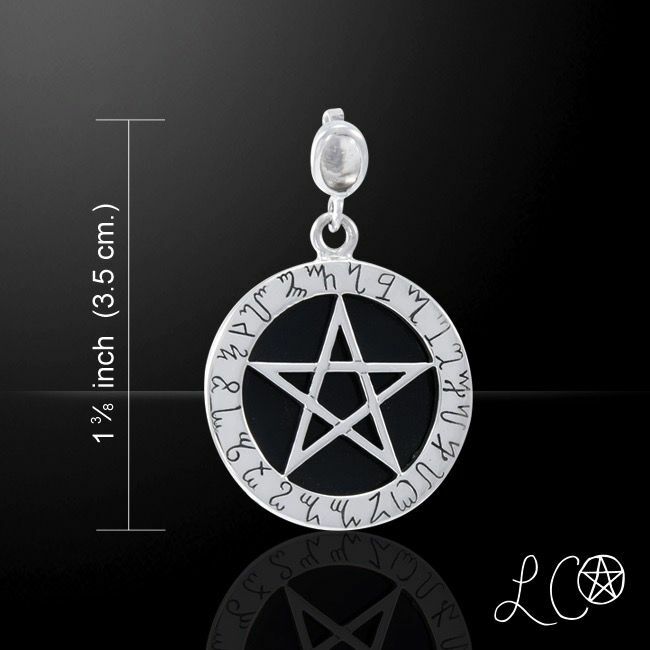 Inscribed with the Theban Witches Alphabet, this Pentacle allows you to encrypt your insights as you write them. Including a black Obsidian gemstone and white quartz gemstone on the bale, this enchanting, handcrafted Sterling Silver Pentacle was divined and designed as a majick mirror for gaining clarity and vision into the Future by celebrated author, High Priestess, and "Official Witch of Salem, MA", Laurie Cabot. 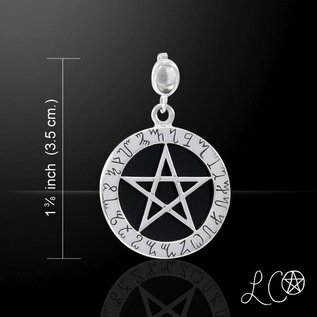 This pendant is 1 3/8 inches.